We all know how great Euro Truck Simulator 2 is. However, sometimes the feeling that something is missing may catch us. 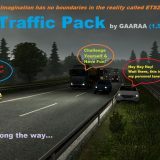 If you feel the same way maybe you just need some ETS2 mods to improve the game and the greatest experience will overflow you once again. 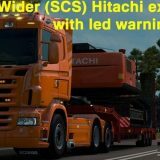 Here on our page, you may find so many different ETS 2 mods that even the most demanding needs surely going to be fulfilled. 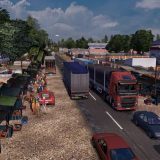 Even 14 different categories and hundreds of different mods are prepared to upgrade not only the game but the satisfaction of playing Euro Truck Simulator 2 as well. 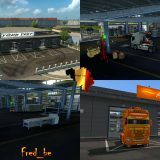 Moreover, the most important thing is that all of the Euro Truck Simulator 2 mods are absolutely free. It’s just impossible to imagine something greater. You can do so much without spending a single penny so take your chance now and ensure the greatest gaming experience of your life!